I’m fair rattling through these things. I might even complete this series before I forget about it. One thing this last set has taught me. That Whitbread were losing interest in Mild. That’s why I’ve included beers from both 1959 and 1960 in the Gravity Book table. I had too few from 1960 to form much of a set. One point the numbers do prove is that Mild was good value for money. Obviously, it was way better than bottled beer – they cost more than 6d for 1% ABV. But also better than draught Bitter which averaged 4.2d. Why was that? Customer expectation. And historic – Pale Ales had always sold at a premium, right since they first became widespread in the 19th century. While I’m making comparisons with Bitter, I may as well look at bitterness levels, too. The average for Bitter was significantly higher: 32.1. But looking at individual beers, the situation is more complex. The Bitters have values ranging from 20 to 40. The Milds 15 to 37. Only four of the 25 Bitters had a higher value. Bizarrely, their Bitter had a much lower value, just 20. Meaning their Mild was almost twice as bitter as their Bitter. There’s one thing that is particularly pleasing. As I have brewing records for Whitbread for 1960, I can see what that 26 units relates to in terms of hopping rate. It’s the equivalent of 0.7 lbs hops per barrel. Using the figures for Whitbread Bitter and Truman Bitter, I come up with pretty consistent results. 1lb of hops per barrel equates to around 37 or 38 hop bitter index units. Now if I run the hopping through Beersmith, I should be able to equate those units with IBUs. Note that the Carlisle State Management Mild is 1d cheaper than any of the others. The only one under a shilling a pint. Otherwise, 12d seems the standard price for Ordinary Mild, a penny more for Best Mild. Speaking of which, it’s nice to have three sets of Mild and Best Mild. Not that in the two pairs where the colour is specified, the Best Mild is paler. This seems to have been the general rule both sides of the Pennines. Though in both cases the Ordinary Milds aren’t that dark. Talking of colour, only three Milds are what I would call properly dark (i.e. colour of 80 or over): Chester Northgate Brewery, Fullers and Greenall Whitley. This is making the difference between Bitter and Mild look pretty arbitrary. Many of the Milds are no darker than Bitter and some are more bitter. Not sure why the Gravity Book examples have so much greater degree of attenuation. The average of the Which? set is brought down by four London Milds: Charrington, Watney, Whitbread and Courage & Barclay. Were London Milds sweeter? Unfortunately my second table only has two London beers. Though they are two of the least well-attenuated. All the others, save Ansells, are northern beers. The strongest in both tables is Ansells. That doesn’t surprise me. 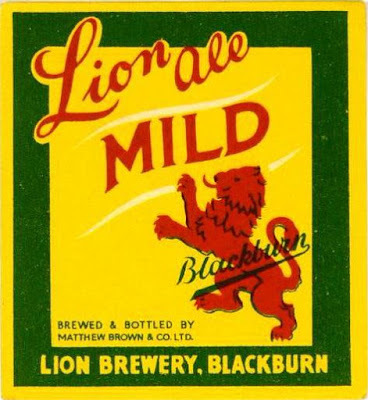 In the West Midland, where Ansells was from, Mild was incredibly popular and tended to be stronger than elsewhere. I'd love to see some figures from East Anglia and the South West: East Anglia, certainly, was a stronghold for dark mild, the South West not so much, although the frmer Courage brewery in Plymouth was still brewing a fine dark mild called, paradoxically, Heavy in the 1970s. I remember Plymouth Heavy well. I drink it several times at beer festivals. One of the very best Southern Dark Milds.